Summary: The long-term effectiveness of atrial fibrillation catheter ablations may be improved by two new technologies, the TactiCath radiofrequency catheter and the CardioFocus laser balloon. Catheter ablation has been proven to be more effective at stopping atrial fibrillation than antiarrhythmic drugs, but for many patients the pulmonary veins can reconnect over time, allowing atrial fibrillation to return. According to Dr. Vivek Reddy, director of Cardiac Arrhythmia Services at Mt. Sinai Hospital in New York City, medical literature indicates that only 25%–40% of pulmonary veins remain isolated following catheter ablation. Indeed, the percentage of patients with all four pulmonary veins isolated is only 15%–25%. Reconnection may occur because of a gap in the ablation line, which allows atrial fibrillation to recycle in the heart, or because the ablation line does not fully penetrate all the layers of tissue (is not “transmural”). Two new technologies presented by Dr. Reddy at the recent Heart Rhythm Society meeting in San Francisco may help pulmonary veins stay isolated. Dr. Reddy presented results from EFFICAS I, a staged clinical trial in Europe that is investigating the TactiCath, a radiofrequency catheter that senses the contact force doctors apply to tissue while doing an ablation. Contact force, along with temperature and ablation time, is important in determining whether an ablation line is transmural and can block abnormal electrical activity. In phase I of the trial, doctors could not see how much contact force they were applying as EFFICAS I was designed to simply record the average contact force applied during the procedures. In the upcoming EFFICAS II trial, doctors will be able to see how much contact force is applied and adjust accordingly as more contact force may be needed in some areas to create transmural lesions whereas in others less force may help avoid such complications as injury to the esophagus. Even though the study didn’t evaluate the TactiCath’s effectiveness in terminating atrial fibrillation, the EFFICAS I results were enlightening because they showed that two thirds of the 38 patients at the three-month follow up had gaps in the ablation lines around the pulmonary veins. Analysis showed that gaps in the ablation lines were associated with too little contact force and minimum FTI, a measure of how much force is applied over a time period. The TactiCath is already approved in Europe, and Dr. Reddy is the principal investigator for the TOCCASTAR clinical trial that is evaluating the TactiCath for US approval. Trial enrollment started earlier this year and patients will receive ablation by either the TactiCath or an irrigated radiofrequency catheter chosen by the doctor. In addition to issues with contact force, Dr. Reddy mentioned that edema (swelling) may be another reason that pulmonary veins reconnect after any radiofrequency ablation. The body’s natural response to having radiofrequency energy applied to tissue is to swell, and Dr. Reddy thinks that the edema that occurs during catheter ablation may lead doctors to think that the pulmonary veins have been isolated when they may not have been. “We can’t prove it yet but I think that’s what’s happening,” says Dr. Reddy. Another tool that may help pulmonary veins stay isolated is the new laser balloon. The CardioFocus Endoscopic Ablation System (“laser balloon”) is another new catheter that doctors think could reduce pulmonary vein reconnection. In addition to using laser energy to ablate tissue, it has a small camera inside a balloon catheter so doctors can see where the laser energy is delivered. With other catheters, doctors can see the location of the catheter using imaging technologies, such as fluoroscopy (real-time x-ray imaging), but can't see the actual tissue. At the Heart Rhythm Society meeting, Dr. Reddy also presented results on the first 200 patients who have had laser balloon ablation. At the time of the procedure, doctors isolated 98.8% of all pulmonary veins, with isolation achieved on the first attempt for 78.4% of patients. By the time of the Heart Rhythm Society meeting in May, 107 patients had reached six months of follow up and 65% were free of atrial fibrillation and off antiarrhythmic drugs after a single procedure. The laser balloon is already approved in Europe and the US clinical trial will begin this summer. “The initial results are quite encouraging, and I’m optimistic about the long-term clinical outcomes,” notes Dr. Reddy, who will be the principal investigator for the laser balloon’s US clinical trial. The trial will randomize patients to receive ablation either with the laser balloon or the THERMOCOOL irrigated radiofrequency catheter. In summary, these new technologies, the TactiCath radiofrequency catheter and the CardioFocus laser balloon, show promise for increasing the effectiveness and durability of pulmonary vein isolation, leading to longer lasting results for those getting catheter ablations and the potential to decrease the number of procedures required for success. Disclaimer 6-14-11: Patients come first at StopAfib.org, and we do not compromise on that. 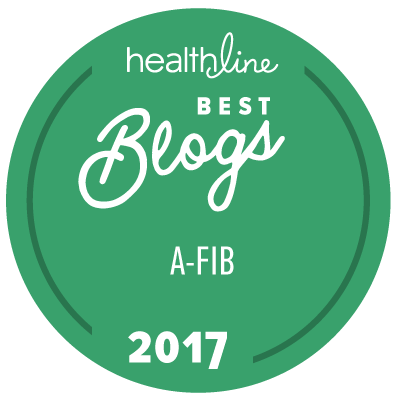 For transparency, we note that Dr. Vivek Reddy is a member of the StopAfib.org medical advisory board. As the presenter of the clinical data discussed in this article, he reviewed a draft of this article to verify the accuracy of the data. None of the companies whose products are mentioned here are donors to StopAfib.org.